The Trackimo Instant Location Reporter technology was designed to address today’s growing demand for wireless location-based connectivity with a new network element that replaces old, useless technologies. Trackimo ILR® manages all customer profiles and call routing automatically, from pre-determined rule sets outlined by the customer. Unlike the old, traditional technologies that used static customer profiles and were then stored for the life of the customer, the new Trackimo ILR® can make decisions for the customer on the fly, adapting their needs in real-time, in response to new information, such as location, speed of travel, destination, fencing needs, and others. This technology is a key building block that enables Trackimo’s technologies. The Trackimo SIM® is a leading edge SIM card technology that significantly reduces roaming costs, without requiring any action from the user. Trackimo SIM® technology follows GSMA recommendations in protecting finite IMSIs resources. Trackimo’s m2mConnect® overcomes high usage cost and complex implementation of global wireless connectivity. Trackimo m2m® is an efficient communication protocol that translates to lower energy consumption, which means longer battery life for devices utilizing the technology. Because it can operate on lower signal strength, Trackimo m2m® dramatically expands the coverage and usability of any Trackimo device, enabling wider use varieties. The Trackimo Universal Tracker is a compact, lightweight device with long-lasting battery life and worldwide service. Accessories included will allow you to secure your Trackimo device to different objects, including backpacks, bikes, belts, and luggage. Trackimo Universal can also be hard-wired in a car, eliminating the need for charging. Designed for outdoor use, the Trackimo device also includes accessories for waterproofing. Using the Trackimo device is simple: After an initial charge, activation of the new device on the Trackimo website allows you to choose a service plan without any need to deal directly with separate service providers. Once activated, the Trackimo device location can be viewed via a user-friendly map interface on any computer or mobile device. The Trackimo companion App is a single-point interface for configuring, managing, and tracking your devices. It allows for parallel tracking of all the devices a user owns under a single account, as well as remote updating of settings, device power, and other features. The Trackimo app is available on all PCs and smartphones, providing full time accessibility for users. Any notification (SOS button, geo-fences, speed thresholds, etc.) can be delivered in-app, emails, or text messages, making tracking and updating possible even without access to the app itself. 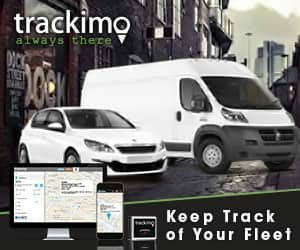 Trackimo provides near real-time tracking, including notifications based on geo-boundaries, speed, and sudden impact or acceleration. Trackimo’s open API provides unlimited potential for the companion development of utilities, services, games, and interaction with social media. Internal development of many of these software apps and extensions allow for additional revenue generation.